Cloud-Control is a Windows application that provides configuration of AXALIGHT Cloud-Drive enabled lighting luminaires and LED dimmers. The Cloud-Control application can be used by system integrators and technicians. 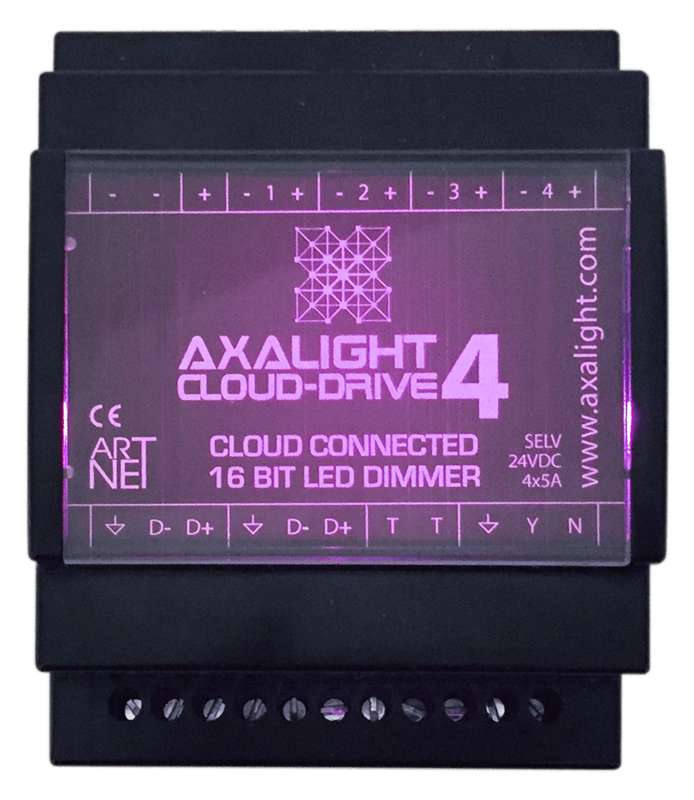 Cloud-Drive4 SELV LED dimmers communicates over WiFi and Art-Net eDMX for fast installation and mobile systems. CD4 dimmers provide control to the AXALIGHT range of SELV fixtures. SKYLINE luminaires enhance building architecture as part of the urban skyline. SkyLine models are available with optional inbuilt Cloud-Drive technology.